The intention of these scholarships is to provide an opportunity for higher education for students who are interested in achieving a place of leadership in their chosen field. Please read all of the information below to determine eligibility. To apply, click on the SCHOLARSHIP APPLICATION link at the bottom of the page. • have been active within the student community. The student may choose any accredited four-year college or university. It is recognized that some degree programs may be initiated at community colleges. In 2017, five scholarships (four $10,000 scholarships and one $16,000 scholarship) will be awarded to seniors from the four high schools in Davenport with at least one student from each of Assumption, Central, North, and West. Selection is based on GPA, test scores, community service, interview, and recommendations. In close cases, need may be considered. Awards are payable directly to the school at the beginning of each school term over a four year period in the amount of one-fourth of the total award for each school year. The award may be used to cover the cost of tuition, fees, books, and room and board. 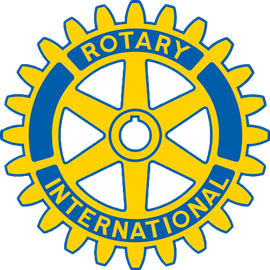 • Scholarship winners are obligated to notify the Rotary Club of all other scholarships awarded to them. • The Rotary Club office in Davenport is to be informed in writing of the recipient's academic performance at the end of each academic year. Successive annual awards will depend on satisfactory progress toward a degree (i.e., complete a minimum of 24 credit hours in an academic year and maintain at least a 2.70 GPA). • The Rotary Club must be informed in writing by the recipient of any changes in college plans or permanent address. If, after being awarded this scholarship, a student is unable to enroll in college or a student's attendance is interrupted or delayed because of prolonged illness or injury, the award will be held in reserve. The advice of the college medical service or the attending physician will be taken into account in determining the length of time the award will be held. • intends to attend a post high school institute, e.g. accredited community or four-year college, or trade school. The student may choose any post-high school institution, e.g. accredited community or four-year college, or trade school. In 2017, one $2500 scholarship will be awarded to a graduate of Mid-City High School, Davenport, IA. Selection is based on academics, school and community service, financial need, and assessments of the principal/counsellors. Awards are payable at the beginning of each school term over a two-year period, in the amount of one-half of the total award for each school year. Funds will be placed in the school's student account. 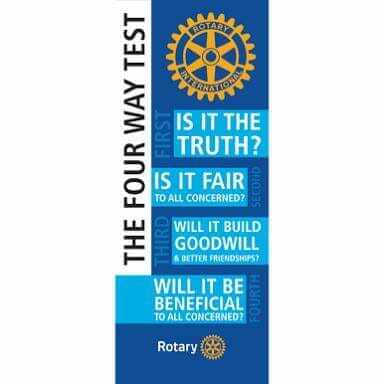 An interview will be conducted by members of the Rotary Club's Scholarship Committee. 1. Take the American College Test (ACT) or Scholastic Aptitude Test (SAT) of the College Examination Board no later than the December test date (optional for Mid-City High School applicants). 2. Applicant must complete the online application form linked here by noon, March 22, 2019. 3. School (Principal, college counsellor, or teacher) must submit online a pdf of the applicant's most updated high school transcript in pdf and a short statement of recommendation by noon, March 27, 2019 using the linked online form. Students must coordinate with school representative to ensure that all school forms are submitted on time. 4. Applicants must be available for in person interviews on Wednesday, April 24, 8:30AM-3PM for Davenport schools and Tuesday, April 30, 10-11AM for Mid-City. 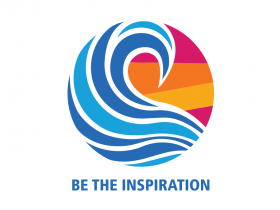 The Rotary Scholarship Committee recommends recipients and the amounts of each scholarship to the Board of Directors of the Rotary Club of Davenport. The Board of Directors of the Community Foundation of the Great River Bend will administer the scholarships. If you have questions, please contact Benjamin Loeb, Davenport Rotary Scholarship Committee Chair at ben@benloeb.com or (915) 525-4033.